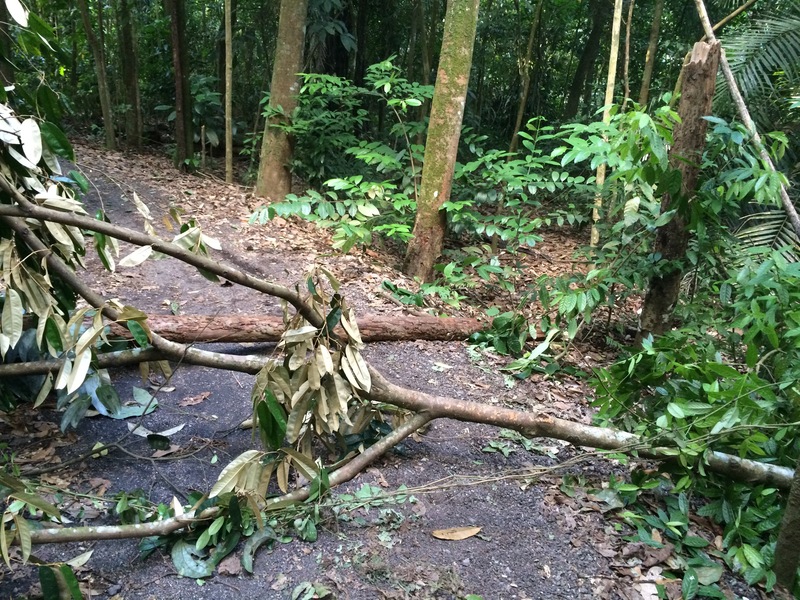 This afternoon, I decided to recce Mandai forest trail to ensure it is still accessible to people who want to cycle en route from Mandai PCN to Dairy Farm nature park. My trip turned out to have the makings of a characteristic rough and tough mountain biking experience as it includes a fall from the bike due to a sharp change of gradient that caught me by surprise, the bicycle chain becoming loose twice in a row, the wheels skidding and sliding over some tricky uneven rocky slopes, and me stumbling into a muddy patch and got my left foot and sandal submerged into the quicksand-like mud in the middle of the forest. 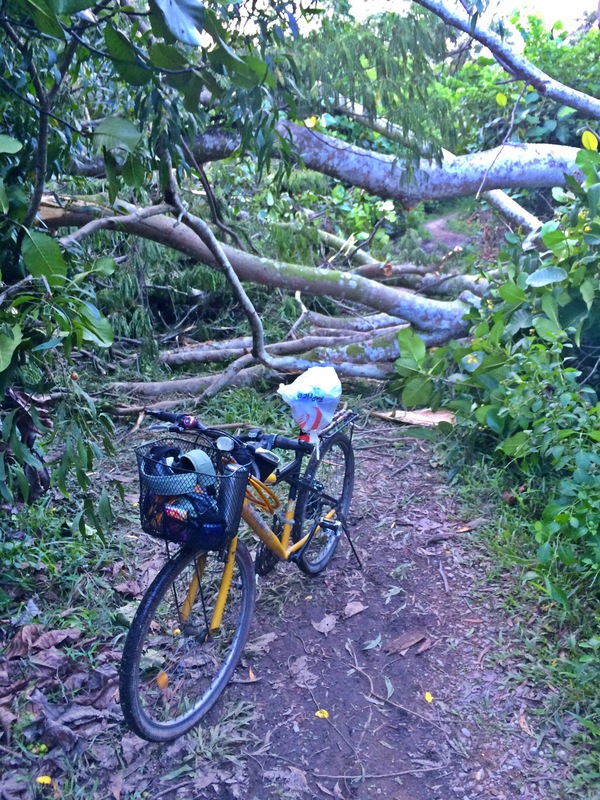 Along the way, I also came across two fallen trees that blocked the cycling track and I had to carry and push the bike over the obstacles. 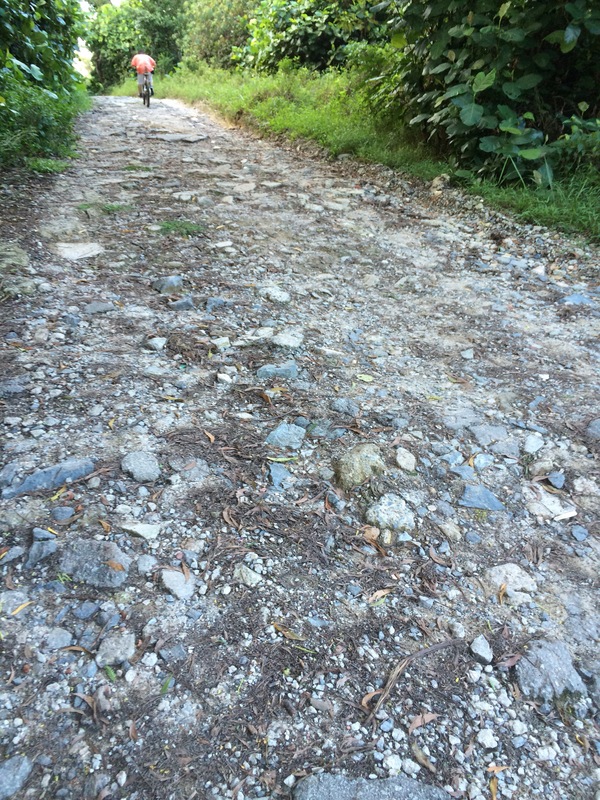 I decided to take photos of the fallen trees and report to the relevant authorities via One Service mobile phone app so that these obstacles can be removed soon in order to clear the path for future cyclists and hikers.